As we understand that a Pool needs looking after, at All Round Fun we offer a wide range of accessories that will enhance your pool greatly to make sure it maintains its long lasting promise. 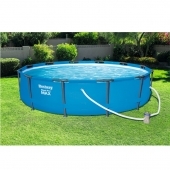 We offer smooth and efficient Filter Pumps, Air Pumps to inflate and deflate your pool, Ground Cloths and many other accessories that will certainly make life with your Pool much easier. 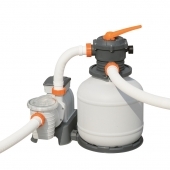 Our Maintenance Kits will also provide you with a simple and efficient solution for keeping your pool clean. Pools require basic looking after, and at All Round Fun we provide the perfect kits to make the 'looking after' process easier. 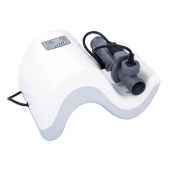 Easy to use products which are simple and fast to operate will undoubtedly maintain your pool clean and ready to use when you wish. We stock a range of pool accessories to ensure that the whole experience is as enjoyable for you and your family and friends as possible. Filter cartridges help keep the water pure and clean, whilst pool heaters and solar covers ensure the water is at a more pleasurable temperature. Whatever accessory it is that you need to maintain your Pool, we are sure to have it, guaranteeing you a wonderful Pool experience.